Updated February 1, 2019 to add our in-depth review of the Harman Kardon Enchant 800 soundbar. This speaker has an impressive spec sheet and a high-end price tag, but after completing extensive listening tests, we concluded that it's just not a great home audio value. You can read our full opinion here. Sennheiser is moving out of its comfort zone of building headphones and mics to enter the soundbar market, and at the high end, no less. 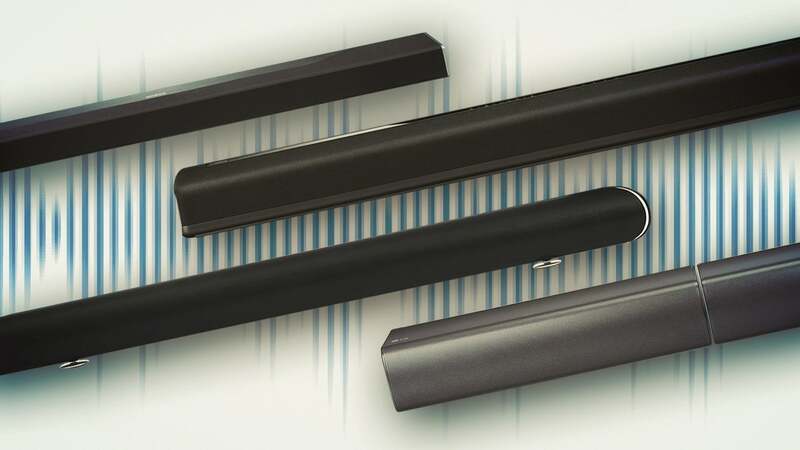 We got a chance to hear Sennheiser's AMBEO soundbar at CES and came away impressed. Sennheiser is calling this a 5.1.4 system--despite the fact that it doesn't include a discrete subwoofer--and it will support Dolby Atmos and DTS:X in addition to MPEG-H Audio. The company expects to ship the speaker in May, when it will be priced at $2,499. 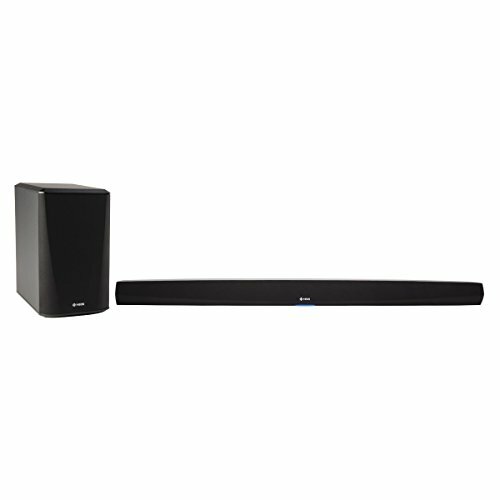 Yamaha’s YAS-108 soundbar delivers great sound in a small and affordable package, and unlike most competitors at this price point, it has a wired subwoofer output so you can beef up its low end with just about any aftermarket sub. 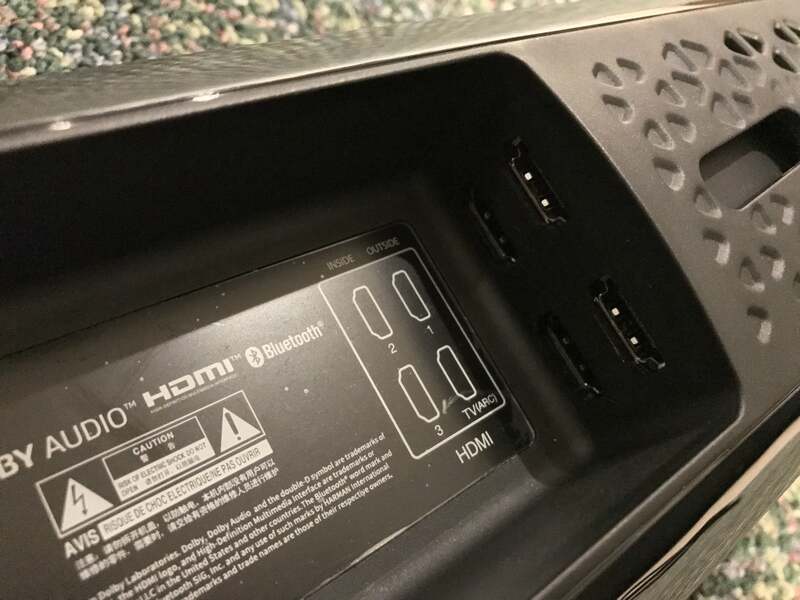 And if you own a 4K UHD TV, you’ll be happy to learn that this soundbar can pass HDR information through to your big-screen TV. Support for dual simultaneous Bluetooth device connections lets you instantly switch from one smartphone or tablet to another. The only feature that’s missing: Wi-Fi support for Yamaha’s excellent MusicCast multi-room audio system. 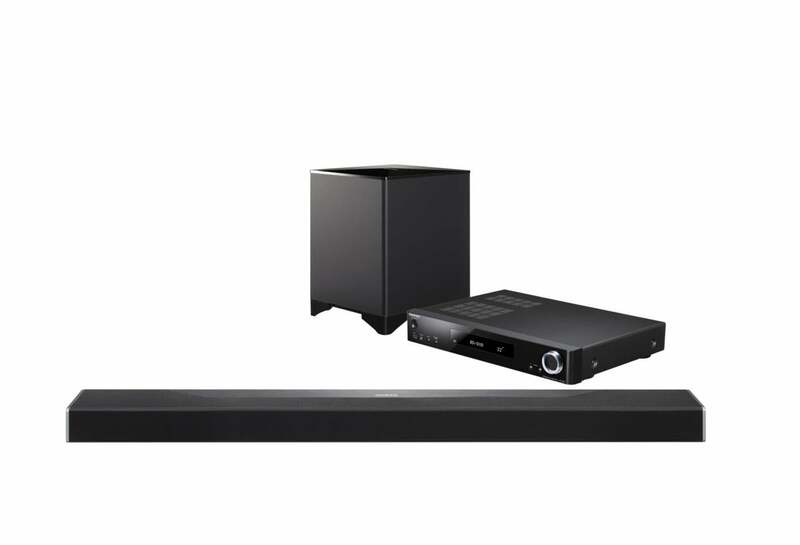 The HW-N450 is a very good entry-level soundbar, especially for Samsung TV owners. 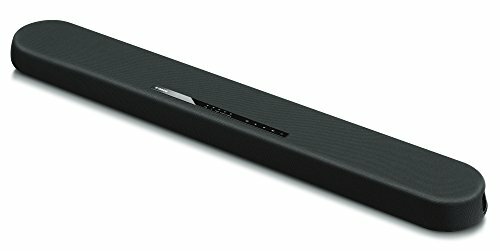 Samsung’s entry-level soundbar doesn’t have as many features as Yamaha’s similarly priced offering, but it does come with a wireless subwoofer, which makes it easy for us to recommend as the runner-up in this category. It’s a particularly good choice if you have one of Samsung’s lower-priced smart TVs. Our previous pick in this category—the JBL Cinema SB 450—is no longer available, so we moved up Yamaha’s YAS-207 to take its place. 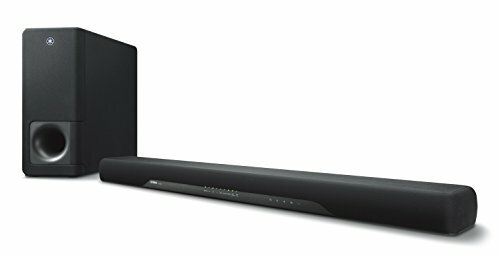 This soundbar-with-wireless-subwoofer combo delivers immersive audio, in the form of DTS Virtual:X at a phenomenal price. 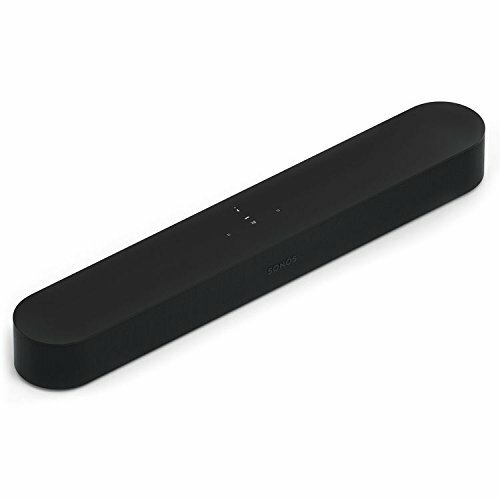 The Sonos Beam is our runner-up pick for best mid-priced soundbar. 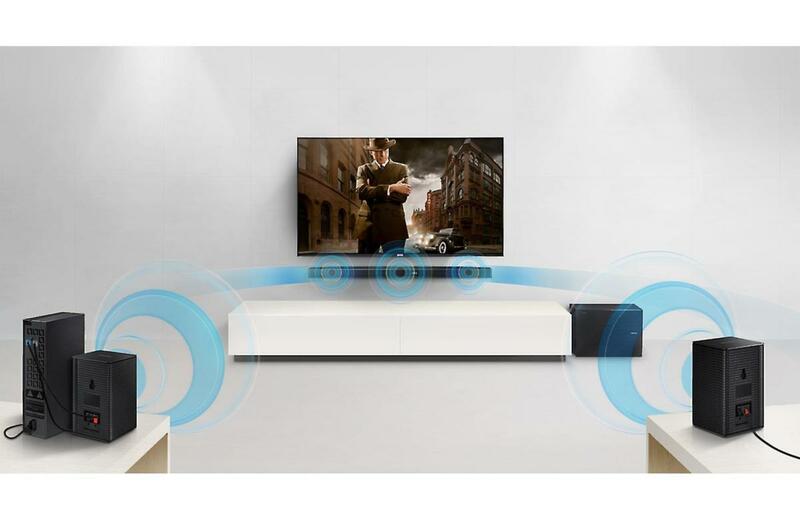 It’s a powerful speaker for its size, and you can expand it into a full-fledged 5.1-channel system by adding a wireless sub and wireless surround speakers. The Beam also has built-in support for Amazon’s Alexa digital assistant (and it will soon support Google Assistant), so it can become a key element in your smart home system. Apple fans, meanwhile, will appreciate the Beam’s support for AirPlay 2. 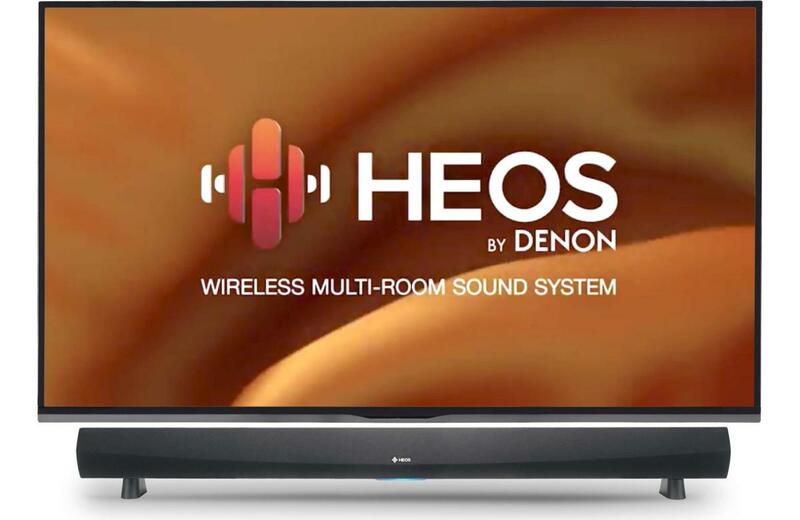 Denon’s HEOS HomeCinema HS2 soundbar and wireless subwoofer is a solid, feature-rich audio system that's also a smart speaker. Last year’s model of this speaker was our top pick in this category, at least until Yamaha’s YAS-706 knocked it off its perch. But Denon fired back with an all-new version—the HEOS HomeCinema HS2—and quickly won us over again. This smart soundbar features Amazon Alexa integration, but that’s just the tip of the iceberg. It’s crystal clear sound, strong multi-room audio features (including support for Apple’s AirPlay 2) and powerful subwoofer maker for a winning combination. 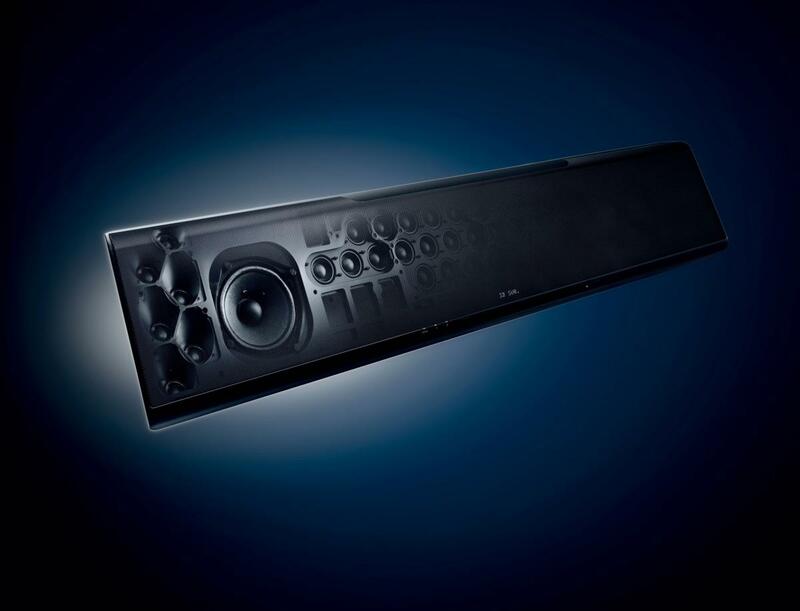 Vizio's Home Theater Sound System with Dolby Atmos is a high-value, high-tech sound bar with a taste of immersive audio magic. 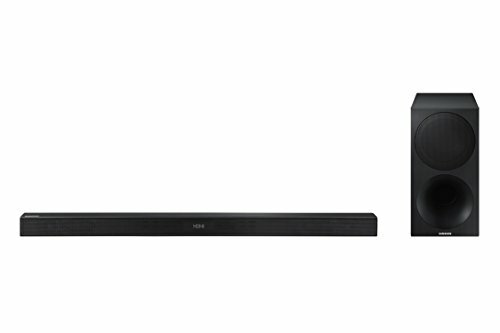 Vizio reinforces this soundbar with not only a beefy subwoofer, but also a pair of (wired) surround satellite speakers. 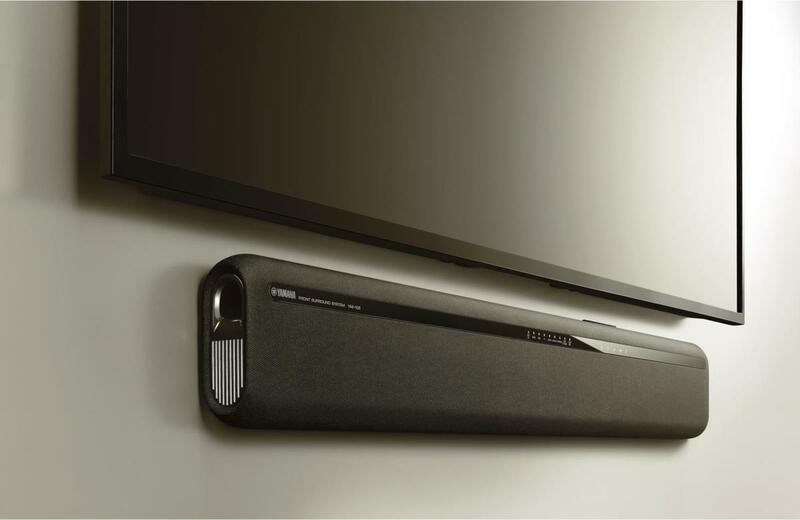 Upfiring speakers in the soundbar itself bounce Dolby Atmos height audio effects off your ceiling to deliver a truly immersive audio experience with soundtracks that support that object-based codec. And Vizio offers all this for just $500. It’s a remarkable value. The M3 delivers an amazing performance for its price tag. It's a fantastic value. Samsung's flagship soundbar will knock your socks off with music, but you'll want its optional subwoofer for movies. The combination is a very good deal. The Sonos Playbar is one of the best sound bars in its price range, but it can't compete with a mid-range AV receiver and a 5.1-channel speaker configuration. High value proposition for all the included features. Stellar audio and punchy bass make this all-in-one package the prescription for a permanent cure for your TVs audio blues. Doesn't support HDMI 2.0 or HDR passthrough. With solid, well-balanced sound and Amazon Alexa on board, the Polk Command Bar can fill two roles in your entertainment space. This is a solid product worthy of your short list. It is without a doubt the best soundbar ever conceived, but that doesn't make it the ultimate choice in immersive audio for a high-end home theater. This is yet another great effort from Sonos, but the Playbase isn't the right home theater speaker for everyone. 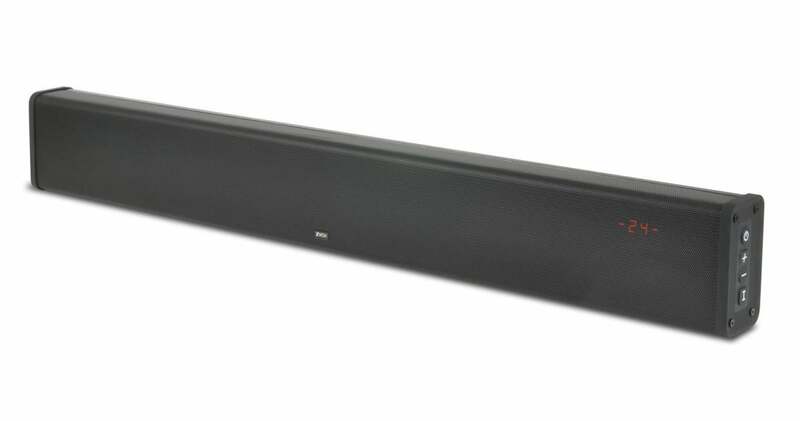 If you can live with some of its quirks and shortcomings, this soundbar is a good value for budget-conscious pragmatists.